Denver Botanic Gardens’ orchid collection consists of nearly 1,000 species from over 280 genera. Many of these plants are rotated onto public display but there are specimens in our collections that don’t often make it out of our collection greenhouses. 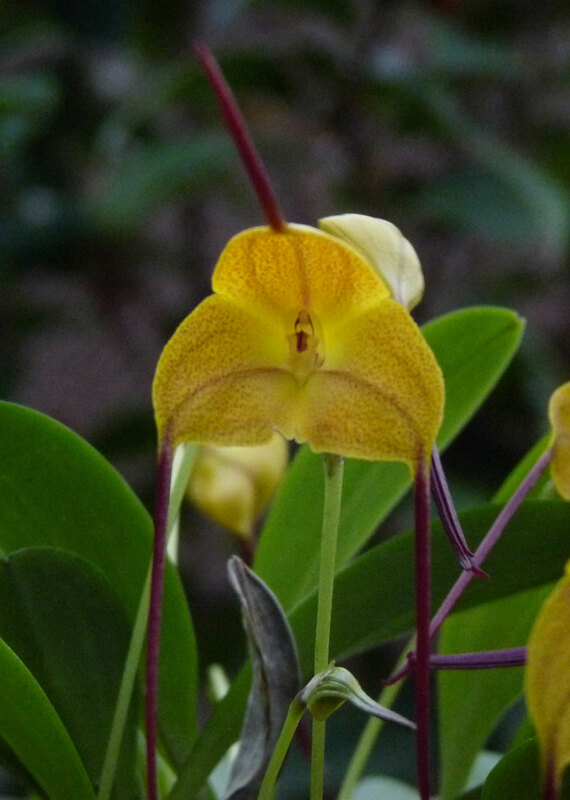 Hopefully, this blog will provide a bit of virtual access to the plants in Gardens' orchid collection. 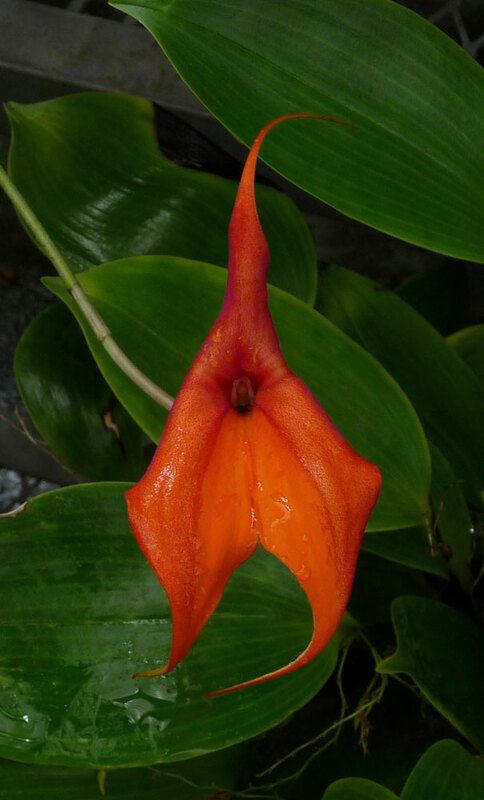 The genus Masdevallia is named in honor of Dr. Don Jose de Masdevall, an 18th century Spanish botanist. The genus was formally described in 1795 but many of the first specimens collected for study either died in transit or languished in greenhouses. In the early and mid-1800s it was widely believed that all orchids required as much heat and humidity as could be provided. 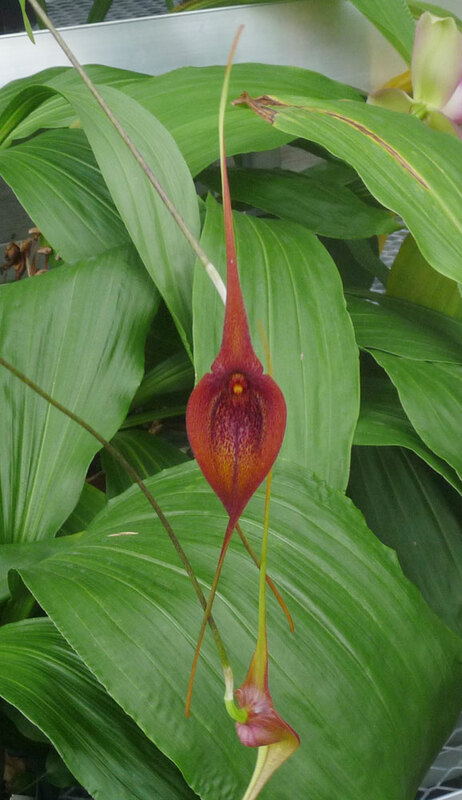 Most Masdevallia orchids grow at high elevations where the humidity is high but temperatures can be quite cold. Once this information was relayed to orchid enthusiasts, many more species were successfully cultivated. 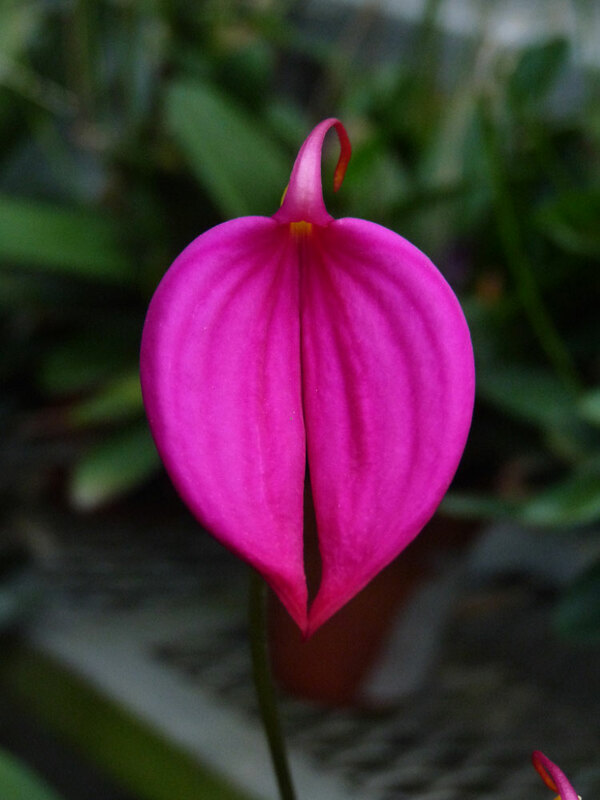 Masdevallia flowers come in many shapes, sizes and colors and are often oddly shaped. There are over 350 species in the genus and they can be found growing at higher elevations throughout much of Central and South America. 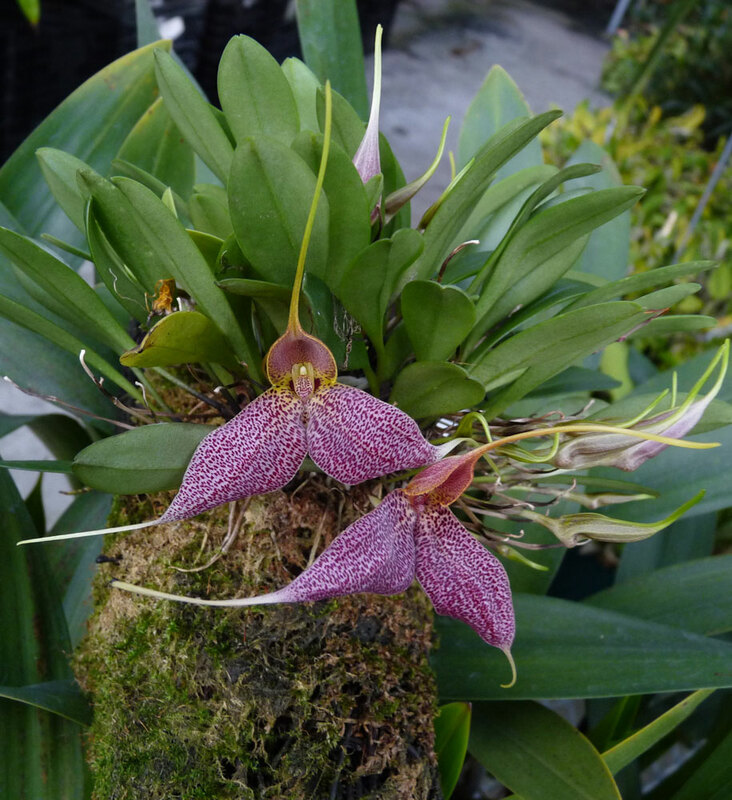 Cultivation can be difficult due to the sometimes challenging combination of low temperatures (below 50 degrees F for some species) and high humidity – not exactly comfortable conditions for the home orchid grower. If these conditions can be met, the plants will tolerate medium to low light levels and will need to be kept moist year round. The cool conditions this genus requires mean blooming plants seldom leave the greenhouse for public display.